Myra joined our staff as a Site Coordinator in 2010. 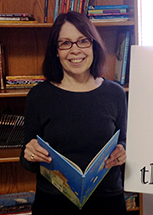 She has a degree in biology from Queens College, and more recently obtained a Certificate in Childrens Book Illustration from Rhode Island School of Design. Myra has 15 years of experience working with underserved students in Brockton, tutoring at the elementary school level and serving as Team leader for the Greater Boston Jewish Coalition for Literacy program at the Kennedy School. Lynn joined School on Wheels in January, 2018 to help develop the K – 12 Tutoring Program. 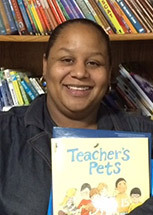 She was promoted to Director of Education in October, 2018. In addition to directing SOWMA's education and tutoring programs, Lynn oversees SOWMA's Friends of the Homeless tutoring site in Weymouth. Mark-Anthony joined our staff in March, 2018. He has a Bachelor's Degree in Rhetoric and Communication and a Master's Degree in Professional Writing from the University of Massachusetts Dartmouth. He served as a University Writing and Reading tutor as well as a Teaching Fellow in Business Communications. Since graduating, Mark has been combining a freelance career with creative writing and performance. 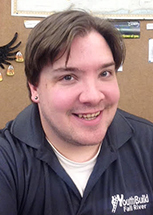 He was an editorial reader for Spry Literary Magazine and a narrative designer for RatDog Videos. He brings to School on Wheels a love of language and literature and a penchant for merging these skills with creative expression. SOWMA welcomed Mark in January, 2019. 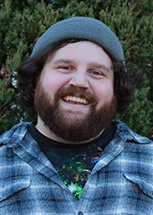 Mark graduated from Bridgewater State University in 2016 with a Bachelor of Science in mathematics with a double concentration in Pure Math and Statistics. Mark was a math tutor at the BSU Academic Achievement Center and ran the directed study groups for higher math classes. He began Youthbuild in 2018 where he is an instructor helping students develop job skills, obtain G.E.D. status and overcome personal obstacles. Mark is a passionate education advocate and exceptional role model for youth. Kelly has a BA in Latin American Studies from Union College. After getting her degree, she joined the Peace Corps and spent three years working on education related projects in Honduras. While in the Peace Corps, she discovered her love of learning and education so when she returned to the US, she returned to school to earn a Master’s Degree in Curriculum and Instruction from Wichita State University. She has been teaching Spanish for the last 19 years in the Old Rochester Regional School District on the beautiful South Coast. This area is where she spent her summers as a child and where she raised her twin daughters, who are now in college Prior to joining School on Wheels, she also taught English as a Second Language to adults in New Bedford through the Massachusetts Migrant Education Program. She is active in her local Unitarian Universalist church serving as a youth leader. 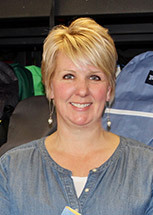 When not working, Kelly enjoys running, reading and spending time at the beach with her family and dog. Lakia joined SOWMA during the 2012/2013 school year. She has an AS in Early Childhood Education from Bunker Hill Community College and a dual BS in Early Education and Care in Inclusive Settings/Adminstration and Supervision of Child Care Programs from the University of Massachusetts Boston. Outside of SOWMA, Lakia works with families experiencing homelessness and at-risk families. Lakia always knew that she wanted to work with families and/or children in the at-risk population. Prior to devoting her career to the Brockton Community, Lakia worked for more than 15 years with similar populations in Boston, MA. In her spare time, she enjoys traveling, being creative, cooking, shopping, giving back to the community and spending time with her teenage daughter. Lakia's passion is working with underserved families and children. Jonathan Vincent joined School on Wheels of Massachusetts in March, 2018. 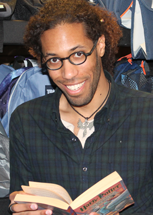 Jonathan holds a Masters of Education, with a specific focus on elementary literacy. He also holds a Masters in Public Administration with a concentration in non-profit management, and has been a tutor, educator and administrator in several inner-city school districts. He is the former state compliance coordinator for No Child Left Behind Supplemental Educational Services in Rhode Island. 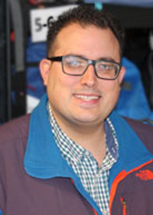 Jonathan teaches middle school full-time in Fall River, Massachusetts. In his spare time, he enjoys foreign languages, film, and spending time with his wife and son. Kate joined School on Wheels of Massachusetts in 2017. Kate holds a PhD in Developmental Psychology with a specialty in the social development of young children. After getting her degree, Kate spend several years overseeing several federally-funded research programs on the social/cognitive development of children with a wide variety of developmental disorders. Recently, Kate has been on the faculty of Stonehill College, teaching classes in Adolescent Development and Leadership, as well as staging leadership retreats for various organizations on the South Shore. Kate is a photographer and loves traveling with her family documenting the beauty of our world. Anna’s a 2014 graduate of Wheelock College, where she received a Bachelor of Arts in Human Development and Developmental Psychology with a minor in Education. She is a certified Infant, Toddler, and Preschool teacher – and is Director I and II certified by the Massachusetts Department of Early Education and Care. Anna’s experience includes working as an assistant teacher, lead teacher, and assistant director within early childhood education. She spent a month in Capetown, South Africa working with the South African Education and Environmental Project. In addition to teaching and education, Anna enjoys music, cooking, working out, traveling and spending time with friends and family. Sean Connell graduated from the University of Massachusetts Dartmouth with bachelor degrees in Political Science and Women & Gender Studies. He has worked on several social justice campaigns and became an AmeriCorps VISTA member at YouthBuild, a program for at risk youth. At VISTA, he helped with grants, case management and served as a lead teacher. Sean equips students with GED/HiSET skill, sresume building and professional communication and networking. Sean also oversees a community group engaging the youth of Fall River to address issues of violence and discrimination. He is passionate about education and giving every student a real chance at success. "I'm iincredibly excited to join the SOWMA team as site coordinator at the Fall River Family Resource Center!"